can diagnose all vehicle systems. Why should you get your vehicle serviced at Cooksville Dodge Chrysler Jeep Ram? When you bring your car, truck, van, or SUV to our dealership, one of our Service Advisors will be be with every step, providing information on the recommended maintenance schedule for your specific vehicle and informing you of any needed repairs. At Cooksville Dodge Chrysler Jeep Ram, our mechanics are manufacturer trained, meaning that they understand how Chrysler, Jeep, FIAT, RAM, and Dodge trucks, cars, vans, and SUV's work better than anyone else. Genuine Mopar parts are made with high quality materials and are specifically designed to fit, function properly, and perform for a long time. Our parts department carries a large selection of parts, priced competitively. If for some reason we don't have the part or accessory that you are looking for, we will order it in for you. Bringing your vehicle to a certified Chrysler, Jeep, Dodge, and Ram car dealership for service, like Cooksville Dodge Chrysler Jeep Ram, means knowing that your car, truck, van, or SUV will be treated with care and all work will be up to all manufacturer standards. Check engine light is part of your vehicle's onboard diagnostics system, a tell-tale that the system uses to indicate a malfunction. The check engine light can illuminate for a number of reasons, from your gas cap being too loose to a major problem. Let's take a look at the 5 most common causes of a check engine light. 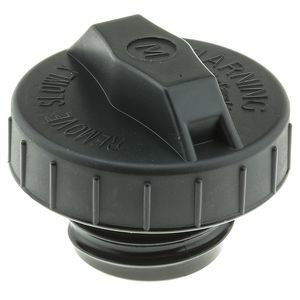 If loose or faulty gas cap fails to maintain pressure in the engine your onboard diagnostic system will be thrown off. A loose, broken, or missing gas cap could lead fuel vapors to leak, which causes a reduction in gas mileage and increases emissions. The evaporative system is a very complex system, and gas cap might not be the problem. Sometimes electronic diagnosis or repairs are neccessary, so if gas cap is not loose or has any cracks in it, you should consult with a specialist. 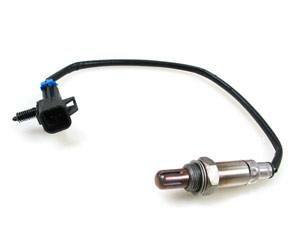 The oxygen sensor monitors the percentage of unburned oxygen in the exhaust to help monitor how much fuel is burned. It is vital to your vehicle’s operation, and a faulty sensor may lead to a decrease in gas mileage or even end up damaging other components. If left unattended, a simple fix can become a very costly problem. 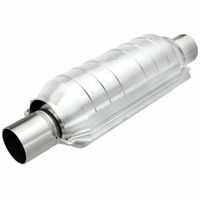 The catalytic converter is an environmental control device that works to reduce exhaust gases. If catalytic convertor is damaged, you will notice a decrease in gas mileage. Also your car will fail its emissions test. 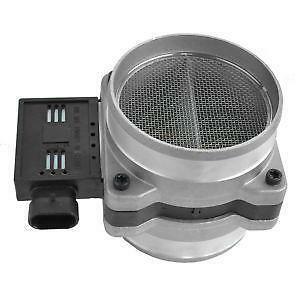 The mass airflow sensor (MAF sensor) measures the amount of air coming into your engine and tells the car’s computer how much fuel is needed. The wires and plugs are responsible for creating the original spark that ignites the air/fuel mixture inside cylinders of your car’s engine. 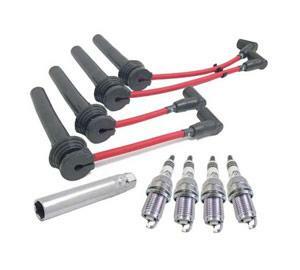 When the plugs are failing, the spark plugs misfire and your engine will not perform at peak efficiency. These are the most common reasons, but there are plenty of other possibilities too. The check engine light is not the maintenance reminder or service interval light. It provides an idea, but doesn’t replace a skilled mechanic. Remember - only a certified dealer can diagnose all vehicle systems, and if you have a question - contact us right now, or book a service appointment.